National Eating Disorder Awareness Week runs from February 21 to 27 across the country. In the U.S. alone, it’s estimated that 30 million people suffer from an eating disorder, which can include bulimia, anorexia nervosa, and binge-eating disorder. More than half of those with an eating disorder also suffer from depression. 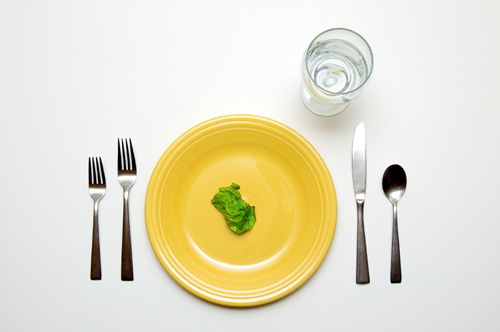 Women are overwhelmingly affected by eating disorders—ranging from 85 to 95% of all sufferers. The numbers for men are, therefore, five to 15%, but those numbers are perhaps incorrect because men tend to not seek treatment for eating disorders; culturally, it’s still considered an issue for women. Current statistics say that only one in 10 people will be treated for their eating disorder, and mortality rates are the highest of any among those with a mental illness (eating disorders are classified as mental illnesses). Through research, we are beginning to better understand that eating disorders have far less to do with food than with a combination of other contributing factors, including genetics, biology, psychology, and social influences. Researchers want to gain a better understanding of how brain function and genetics play a crucial part in eating disorders in order to target more successful therapeutic treatments towards the parts of the brain that control eating behaviors. Specifically studying brain imaging and genetics will help develop a better understanding of how to approach treating adults and adolescents who suffer from eating disorders. “Eating Disorders Statistics,” National Association of Anorexia Nervosa and Associated Disorders web site; http://www.anad.org/get-information/about-eating-disorders/eating-disorders-statistics//, last accessed February 22, 2016.